Just when you think you’ve heard everything in World Music, along comes an album that presents a new angle on familiar musical elements. So it is with Coba Coba, Novalima’s third album, a fresh, innovative and interesting blend of Afro-Peruvian, reggae, salsa, Afrobeat and Cuban son, with dashes of dub, hip-hop and electronica. Novalima is a highly professional Lima-based outfit. What immediately impresses is the solid rhythm section in this 9-piece band, an international augmentation of the original 4-piece of the first two albums. They confidently stamp out very chunky unusual rhythms that will have you moving and swaying right from the outset. Added to this core feature are some attractive female vocals here and there, and all sorts of instrumentation including some impressive horns - a winning combination. Basically this is traditional music in a modern cosmopolitan setting. It’s cutting-edge yet the essence of the original styles on which the music is based remains the focal point. Some tracks may come off better than others depending on the listener, because there is so much variety of musical textures, rhythms and ideas, but there's plenty of fun throughout. 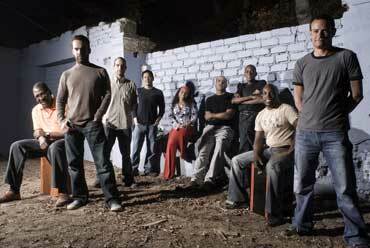 Novalima is now considered a leading exponent of Afro-Peruvian music, having filled something of an international vacuum. This is a classy production brimming with originality.